Question: Are the recent deaths of Adm. Stearney and Gen. Korobov “conceptually” related as the two “apparent suicides”? – M.N. 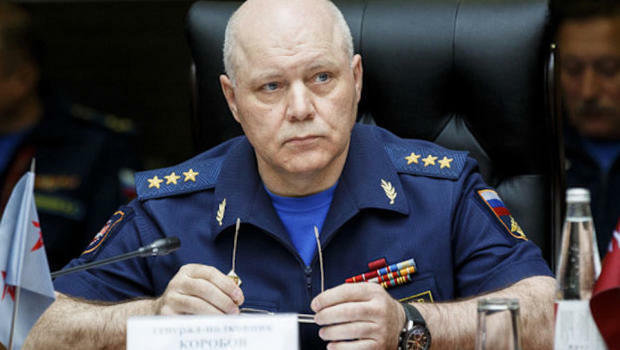 Colonel General Igor Korobov, 62, died Nov. 21 after “a serious and long illness,” according to an official statement by the Ministry of Defense. United States Navy Admiral Scott Stearney was found dead in his apartment in Bahrain on December 1. Stearney was the commander of U.S. 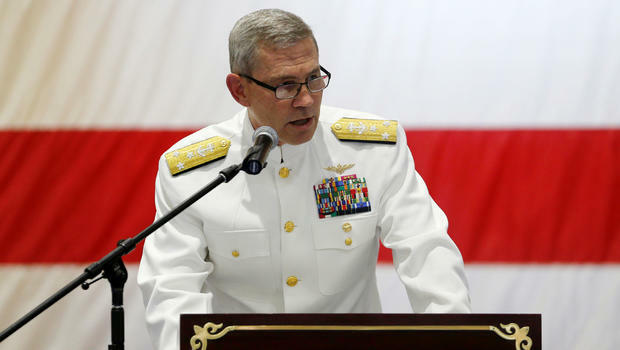 Naval Forces Central Command / U.S. 5th Fleet, making him the commander of the U.S. Navy in the Middle East and Southwest Asia. As of Saturday evening, defense officials have called his death an “apparent suicide,” according to CBS News. The admiral had served for 36 years in the U.S. Navy and had been appointed to his final role in May 2018, putting him in command of 20,000 U.S. and coalition force sailors. Stearney, the Vice Admiral in charge of the military’s operations in the Middle East, was found inside of his apartment in Bahrain. Stearney’s death has been ruled a suicide. There is no foul play suspected, and the Naval Criminal Investigative Service and the Bahraini Ministry of Interior are cooperating on an investigation into the circumstances of his death. According to CNN, Rear Adm. Paul Schlise will replace Stearney for the immediate future. Schlise is the acting commander of the Fifth Fleet. However, Vice Adm. Jim Malloy has been deployed to take interim command until the permanent successor is chosen, and should arrive in Bahrain by Sunday. Stearney, who was the commander of U.S. Naval Forces Central Command / U.S. 5th Fleet, had just taken over this position in May. Previous to that position, Stearney served as director of operations at U.S. Central Command since May 2016. He graduated from and also served as an instructor at the Navy Fighter Weapons School. The admiral was originally from Chicago and joined the Navy in 1982, two years later, Stearney became a Navy aviator. There, Stearney flew an FA-18 Hornet, according to Stearney’s official Navy profile. In addition, Stearney was a graduate of the University of Notre Dame. The Navy’s tribute to Stearney also mentioned that he served in Afghanistan as the chief of staff of Joint Task Force 435. He was also an instructor at the Navy Fighter Weapons School. RUSSIA’S answer to 007 gadget whizz “Q” has vanished amid suspicions he masterminded the Salisbury poison plot, a Sun investigation can reveal. Spy chief Oleg Martyanov ran an elite technology department developing military robots, ­bullet-proof uniforms and un­detectable poisons. He has now disappeared amid claims his experts produced the Novichok perfume bottle used to poison double agent Sergei Skripal, 67, and his 34-year-old daughter Yulia. Martyanov, 58, fought in Afghanistan like ex-paratrooper Skripal, and was outraged at the betrayal by his former brother-in-arms decades later. He had risen to become commander of Russia’s sinister Special Operations Forces when agents attempted to kill traitor Skripal. 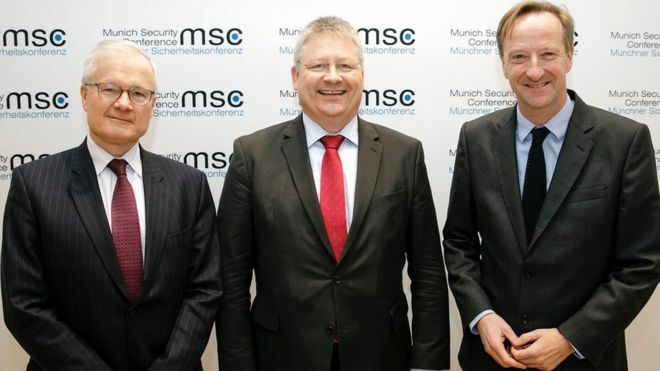 But he quit suddenly in October, days after the two Salisbury assassins were unmasked as elite agents from Russia’s GRU foreign intelligence service — and has not been seen since.